Firefighters Movers Lewisville TX | Firemen Movers - MoveStar Inc.
Lewisville, a suburb of Dallas, has a population of around 95,000. Lewisville’s growth is attributable to its first railroad built in 1881. Since then, the city has seen more transportation infrastructure development that has continued to spur its growth. In addition to housing Lewisville Lake., it boasts of a rich arts and cultural life. It’s home to the Medical City Lewisville Grand Theatre, which hosts some of the best art events in the county. Lewisville also has two recreational facilities and parks for residents that enjoy outdoor activities. 2010 WFAA – “Nominated Best Movers in North Texas” 1st Place in Dallas! Movestar has all sizes and shapes of boxes that you need for your move. 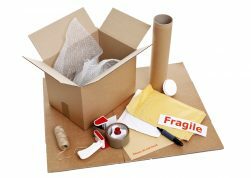 From wardrobe, picture and lamp boxes to bubble wrap, packing peanuts and moving labels, we have all the supplies you’ll need. We don’t rent reusable crates on residential moves, which are easier to use and are environmentally friendly. Or, let us pack up for you. 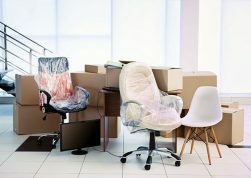 MoveStar’s professional team will wrap and pack your things to our discriminatory high standards. We use packing materials that have come to be an industry standard. We can handle everything from fine china, clothing, draperies, toys, books and knick knacks. We will handle all your belongings as if they were our own. Once your successful move is complete, let our professional cleaning services take the worry away of cleaning your empty location. This popular service is hassle free. We provide all the professional cleaning supplies and the equipment to tackle the toughest cleaning job, and leave your home or office bright and shiny clean.